The narrative of how and when to exit the memorandum is currently at the heart of the discussion in Athens. Prime Minister Antonis Samaras insists that Greece does not require a third financial support programme from the troika of international creditors. The 2015 draft budget submitted by Finance Minister Gikas Hardouvelis to Parliament underlines this objective by omitting the outstanding loans of the International Monetary Fund from the current funding programme. The IMF part of the second macroeconomic adjustment programme still includes a tranche of 9.2 billion euros available to the Greek authorities. The European part of the programme expires end-2014, while the last disbursement from the IMF lending programme is scheduled in the spring of 2016. Is this sense of exit urgency in Athens premature despite the credible argument of memorandum fatigue? Is such a strategy shared by the European Central Bank in Frankfurt, the European Commission in Brussels or lending institutions such as the European Stability Mechanism (ESM) in Luxembourg? Moreover, what does the IMF in Washington think about Athens’ determination to spend considerable political capital on such an exit strategy? The narrative in favour of an exit from the memorandum is being challenged by two critical conditions set by the ECB in Frankfurt. The ECB has drawn attention to the fact that Greek banks cannot continue to draw on liquidity facilities in Frankfurt if no further programme is agreed. Alternatively, Greece would need to register a credit rating upgrade to the level of “investment grade.” This development appears rather unrealistic at present. Greece’s long-term sovereign credit rating is currently three notches below this critical ECB threshold. Furthermore, ECB president Mario Draghi has underlined that the bank’s decision to initiate the purchase of asset backed securities and covered bonds in the eurozone will come with strings attached for Greek and Cypriot banks. More specifically, domestic lenders in Athens will only be able to offer these securities for sale to the ECB if and when Greece has an agreed economic monitoring programme beyond the adjustment process foreseen in the existing bailout agreement with international creditors. This challenging conditionality raises the question of how appropriate it is for the Greek authorities to remain so steadfast on exiting the current programme or refusing to negotiate a new one? In our view, there are workable alternatives to this position. The IMF itself is offering one of these in the form of a so-called precautionary credit line (PCL). The PCL is a contingent or emergency funding facility. It forms part of the IMF’s toolbox for countries exiting financial support programmes, emphasizing a more gradual, phased disengagement process. The PCL is intended to serve as a reserve facility, i.e. a financing option that a country can draw on in case of need. But there are strings attached to such a facility. With a PCL the IMF retains some form of institutional relationship with the country in question, including regular monitoring, surveillance and evaluation missions. Both Ireland and Portugal were offered such a precautionary credit line from the IMF and both rejected it, preferring a clean, unconditional exit. Seeking to configure Greece’s post-bailout period without IMF participation does not imply the same for the formulation of euro area support towards Athens. Here the case of Spain is instructive. Within a year Madrid exited a European Stability Mechanism-financed assistance programme for its banking sector in December 2013. The programme was structured in such a way that it was not a full bailout for government finances. Following Spain’s successful exit, the post-programme conditionality includes regular surveillance missions by the European Commission in liaison with the European Central Bank and the European Stability Mechanism. These missions take place every six months and monitor Spain’s banking system and public finances until Madrid has paid off 75 percent of the 41 billion euros of financial assistance it received in 2012. One should not underestimate the level of scrutiny inherent in these surveillance missions from the European authorities, nor the amount of policy compliance that is being required from Madrid. The macroeconomic situation of Spain is as much the focus of the mission as are financial sector developments and adherence to the implementation of structural reforms in various sectors. Policy makers in Athens would be well advised to study these regular surveillance missions to Madrid in order to have a clearer picture of what the post-programme monitoring and compliance regime looks like at the European level, even without IMF participation. The Eurogroup of finance ministers plans to discuss in late 2014 whether Athens requires further assistance, what this could include and how it would be structured. Equally, the Greek government is currently looking for alternative means of financing from other multi-lateral institutions. Athens has asked the London-based European Bank for Reconstruction and Development (EBRD) to consider operating in Greece with direct financial assistance on a time-limited basis. Finally, the post memorandum policy framework being discussed between Greece and its international creditors is based on a critical assumption, namely that Greece can return to international bond markets and thereby refinance itself at reasonable conditions. This optimistic assumption requires a word of caution. For one, since June 2014 yields on 10-year Greek government bonds have steadily increased, rising above 8 percent on Thursday, a perilously high level not attained since May 2012. At such yields, the government’s objective to refinance itself through international capital markets in 2015 is a high-risk strategy. More importantly, in the course of 2014 Greece returned to international capital markets twice, first in April with a successful, oversubscribed five-year bond issue and then in July with the objective to raise as much as 3 billion euros in three-year debt. But the placement of this second bond issue offers a cautionary tale for Greece and its refinancing objectives in 2015. The bond issue only managed to garner 1.5 billion euros with a yield of 3.5 percent. This underperformance was not so much the result of homemade problems but coincided with the collapse of Banco Espirito Santo in Portugal. Because of financial health issues in a euro area bank of a former programme country, Greece had to scale-down its optimistic market return expectations. There is no reason to believe that such a negative feedback loop between two (or more) eurozone countries may not occur again in the coming months. Thus exiting its international bailout programme is not a risk-free exercise for the Greek authorities. Wanting to avoid intrusive IMF supervision may be possible, but the European surveillance exercise can be no less interfering. 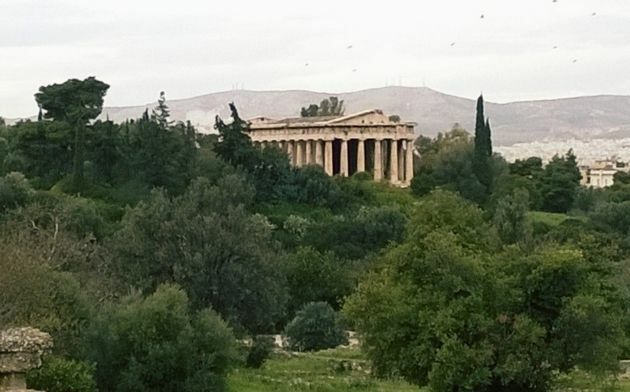 Equally, the vagaries of international capital markets could still suggest that remaining in some form of ‘protective custody’ has its merits for the time being in Athens. "The ECB has drawn attention to the fact that Greek banks cannot continue to draw on liquidity facilities in Frankfurt if no further programme is agreed." Well, that's it then. Why do we continue to argue the merits of an early exit when we are just told why we can't?